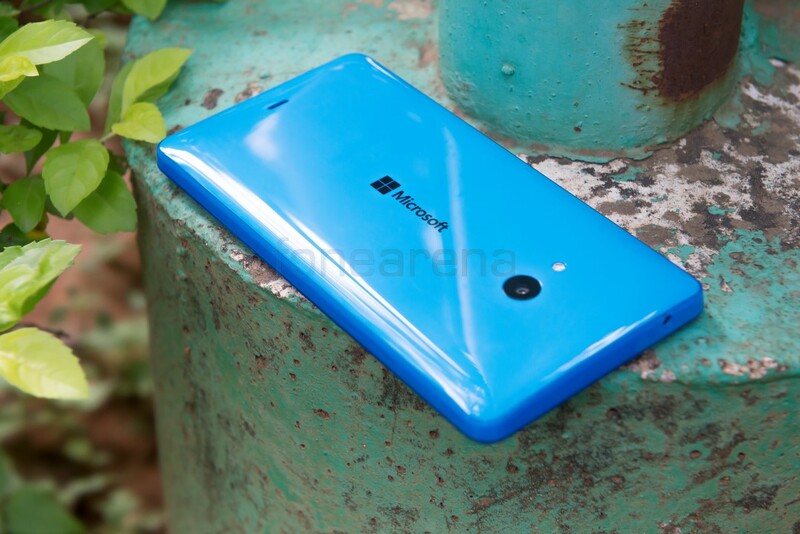 Microsoft launched the Lumia 540 Dual SIM last month in India. It is a handset that makes you confused as to what its purpose in Microsoft’s lineup really is. 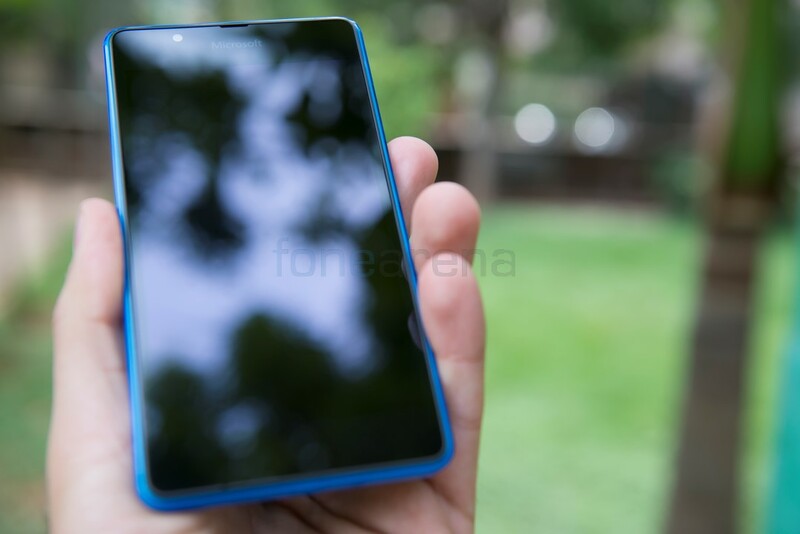 This is because it closely resembles its elder brother, the Lumia 640 which was announced alongside the Lumia 640 XL at MWC in Spain earlier this year. On paper, the two handsets are neck and neck in terms of specifications and the only difference you can spot easily is the inferior Snapdragon 200 processor used on the 540 while the 640 gets a Snapdragon 400 processor. Let us dig deeper and see if there is more to it than meets the eye and whether there is enough difference between the two models to justify releasing a whole another model. If so let us see how it performs as well. 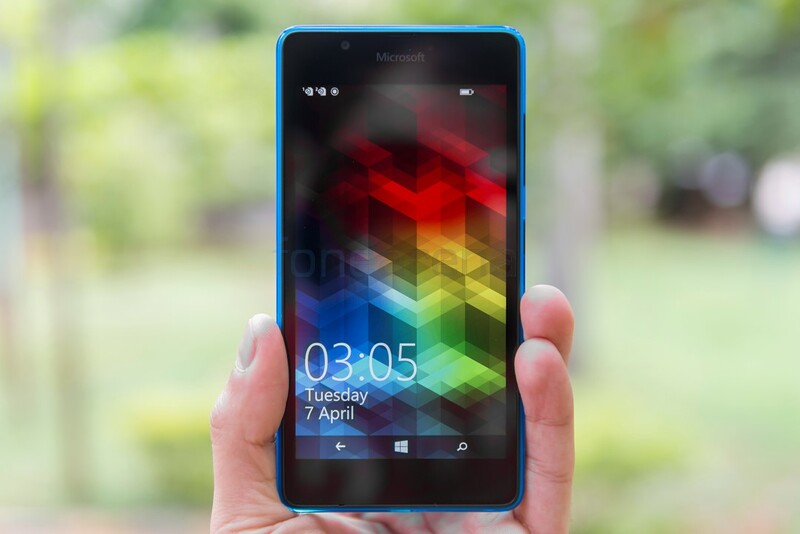 If you haven’t read our Lumia 640 review, probably you should check out that as well after reading this review. 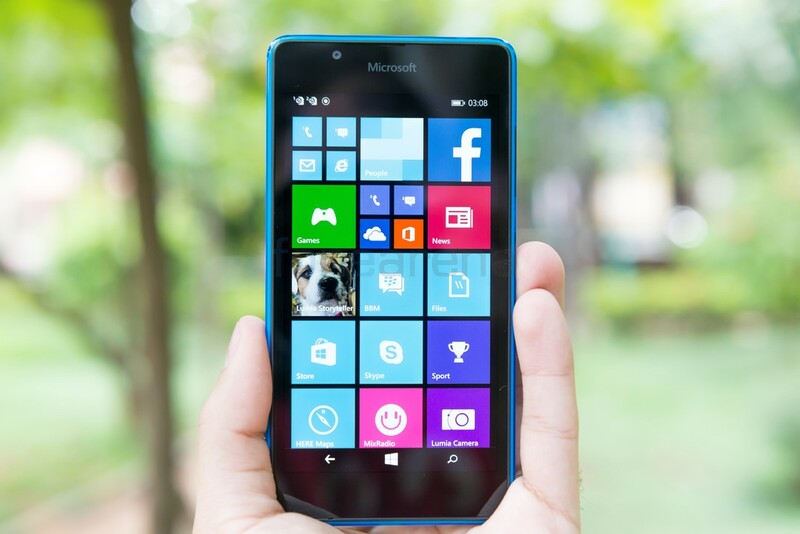 The Lumia 540 has a size that is very similar to the Lumia 640 as both the devices pack the same 5 inch display. The 540 measures 144 x 73.7 x 8.6 mm while the 640 is marginally smaller at 141.3 x 72.2 x 8.8 mm. Yes, there is a difference in thickness and although it is just 0.2mm thinner, it does feel much easier to hold in the hand. 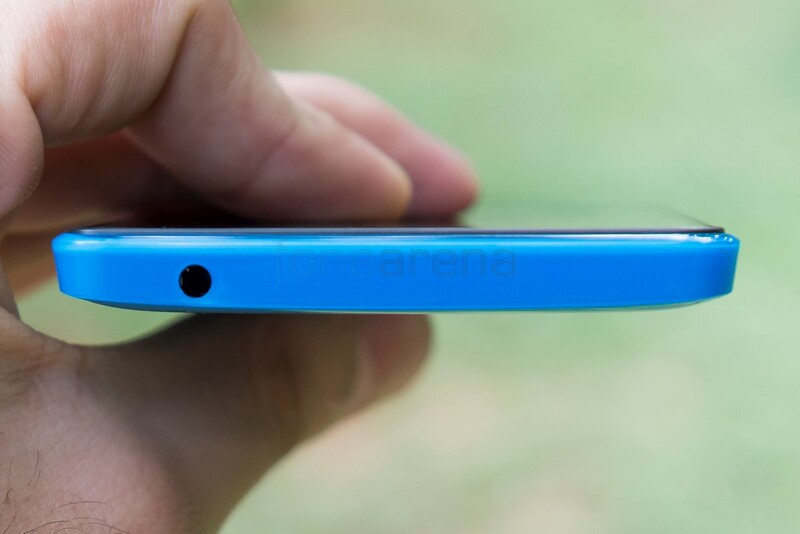 Especially because the edges of the back cover are much more curved than the 640. 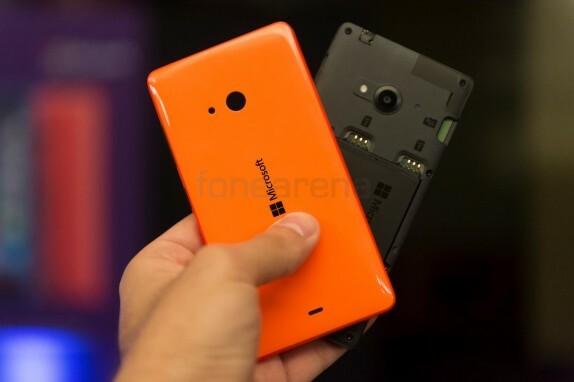 The weight of the devices are 152 grams and 145 grams for the Lumia 540 and 640 respectively. Above the display, you have the earpiece, front facing camera, ambient light sensor and proximity sensor. Below the display, you have just the primary microphone as the navigation keys are on screen. 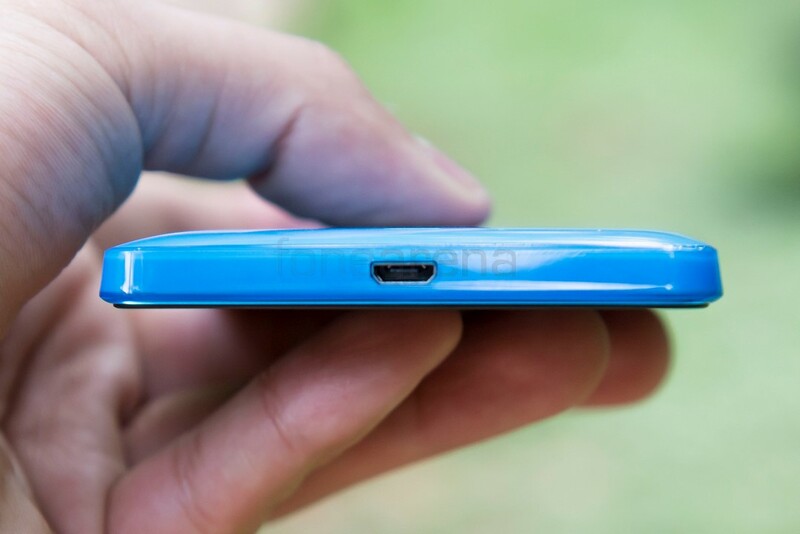 At the top, you have the 3.5mm audio jack and at the bottom, there is the microUSB port. The left side is empty but the right side houses the volume rocker key as well as the power/lock button. Both the buttons provide good tactile feedback and are easy to locate and press. 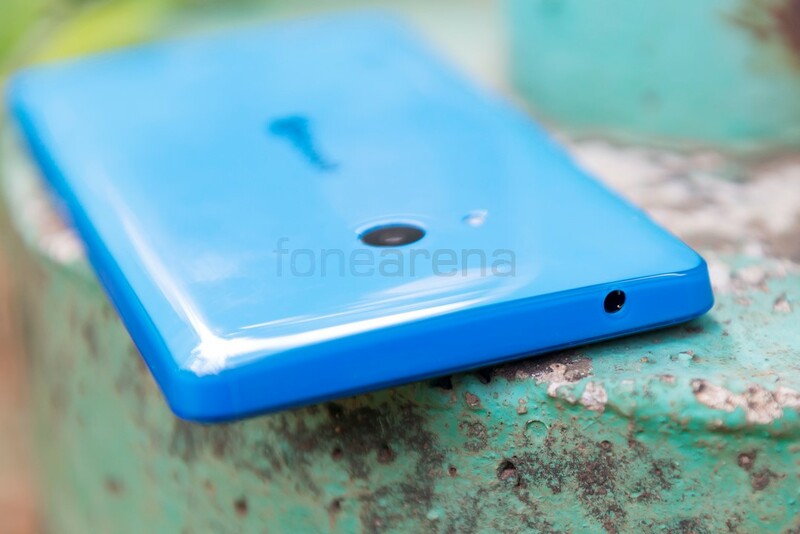 At the back, you have the 8 Megapixel camera unit with LED flash. There is a Microsoft branding at the centre and a loudspeaker at the bottom. 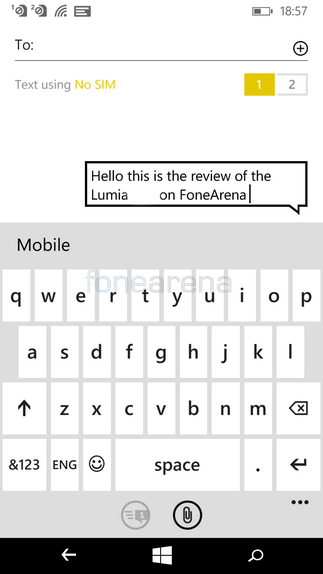 The back cover is one of the main changes compared to the Lumia 640. 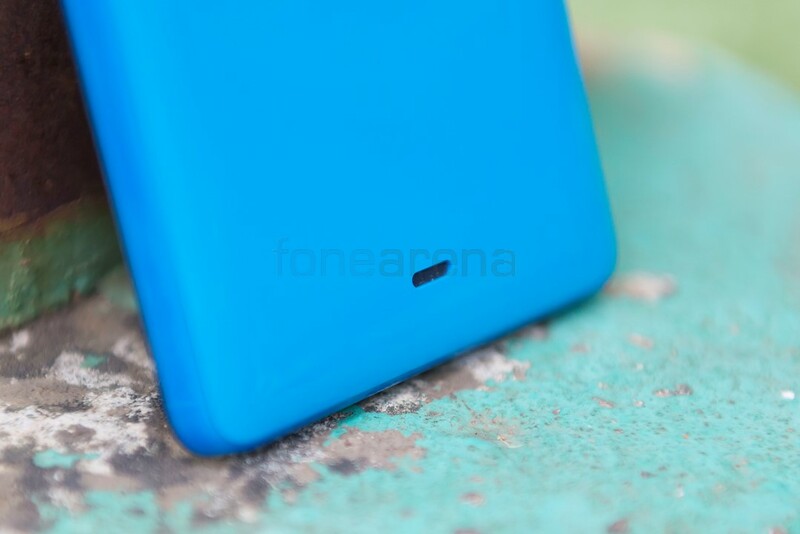 The White, Orange and Cyan variants get a Dual Gloss finish which looks quite pleasing. The Cyan and Orange variants especially have a fluorescent finish that gives a nice glow under certain lighting conditions. Despite being glossy, scratches do not appear easily and there is no shortage of grip. The only downside of the glossy finish is that it attracts fingerprints really easily. 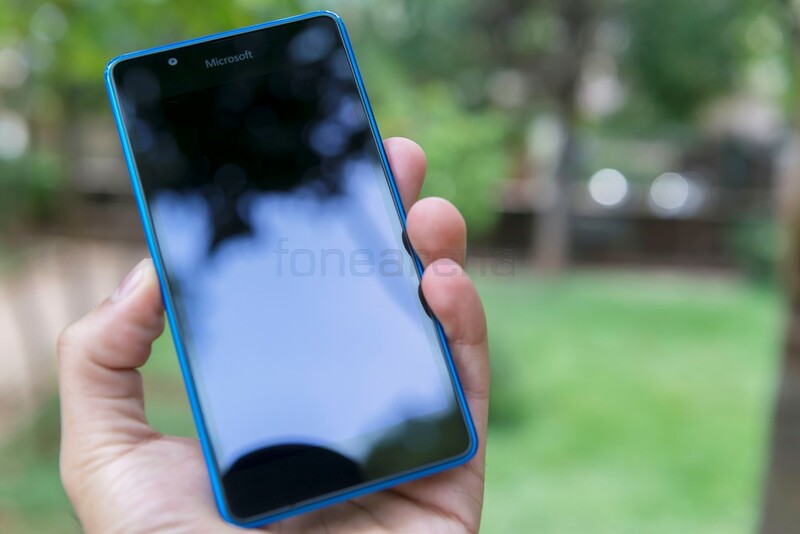 If you do prefer a Matte finish, then you can go for the Black version which offers a similar look and feel to the Lumia 640 black matte variant that we reviewed. Another good thing is that you can change the back cover if needed as it is still removable. Removing the back cover gives you access to the battery as well as SIM compartments and the microSD card slot. The battery itself is removable as well and you need to take it out in order to access the microSIM card slots. 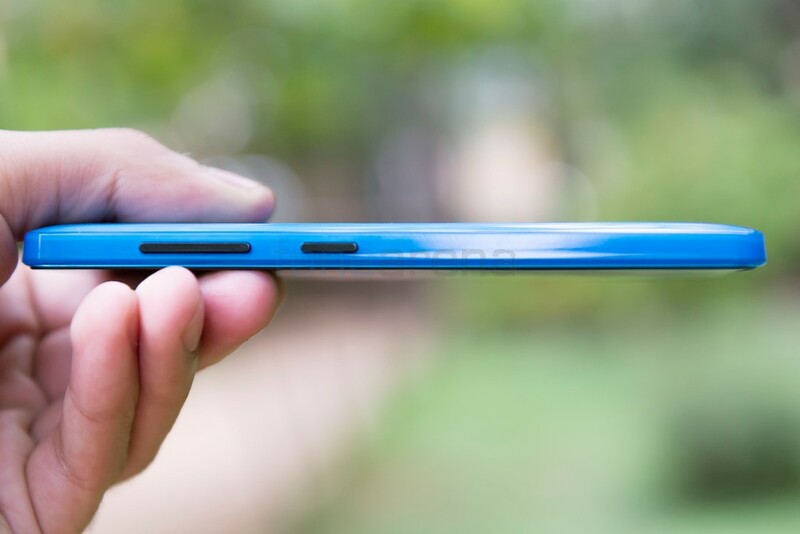 The microSD card slot however supports hot-swapping and can be changed without removing the battery. Overall the device feels quite good in the hands and we prefer its handling over the Lumia 640 and despite being a fingerprint magnet, we found the dual-gloss finishes to be quite appealing. The display remains the same as the Lumia 640. Both the devices have a 5 inch 720p IPS display with ClearBlack technology. 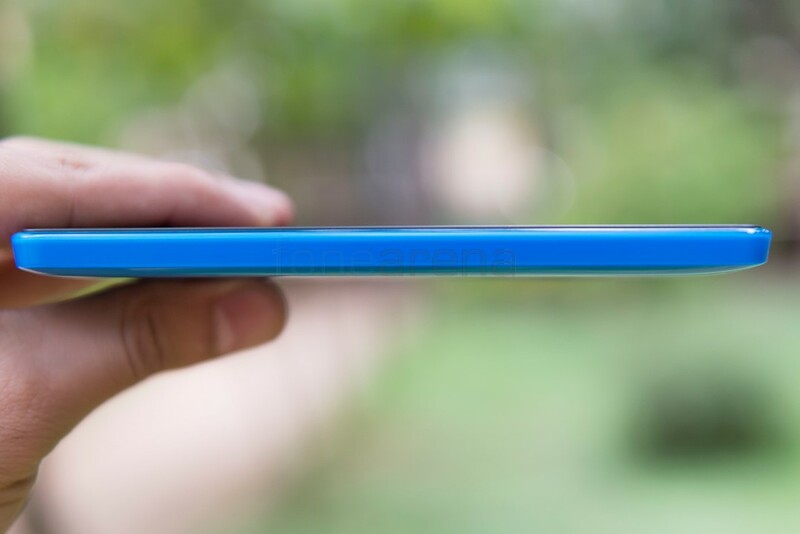 Due to the slightly larger bezels, the Lumia 540 has a smaller screen to body ratio compared to the 640. However being devices in the lower end of the price segment, we don’t really see many device with bragging rights over the screen to body ratio. So the Lumia 540 isn’t at fault here. What is missing from the Lumia 540 is the Corning Gorilla Glass 3 protection which was available on the 640. Instead the 540 makes do with toughened glass. The screen attracts fingerprints quite easily too but feels good to use. It is quite smooth and responsive. The brightness levels are very good and thanks to the good contrast ratios, you don’t really need to bump up the brightness much especially indoors. The device performs well under sunlight as well just like the Lumia 640. The resolution is good enough for a screen of this size and we didn’t really notice any deficit in terms of sharpness or have any issues with reading text or viewing images. 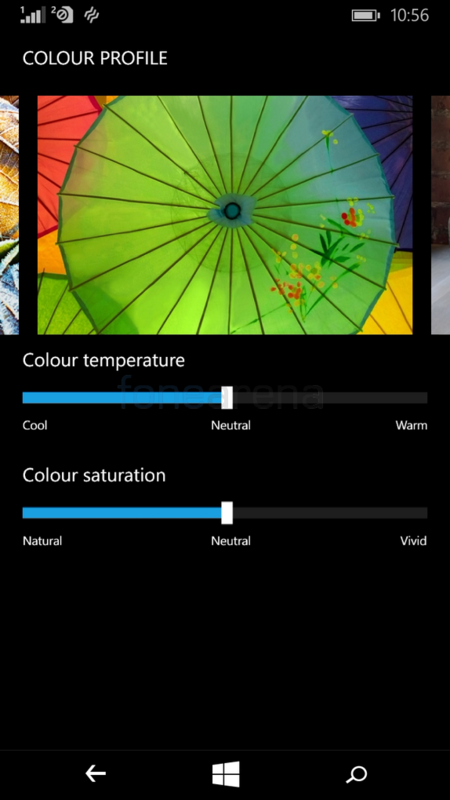 The colours come out quite well too and Microsoft even gives the user the ability to adjust colour temperature according to his/her preference. Double tap to wake works well like on the 640. The haptic feedback is a bit feebler than the one on the 640 but still good enough. 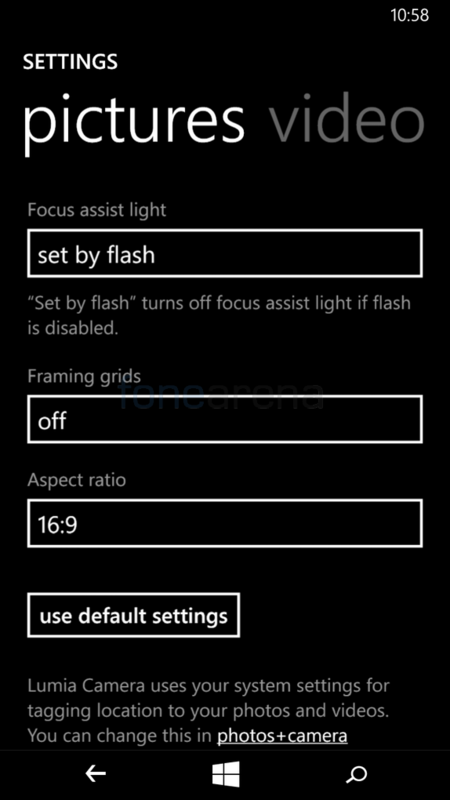 You can also change the brightness levels at each setting of Low, Medium and High. The screen rotation is well implemented in terms of sensing the phones orientation but we found that the phone was quite slow in switching between the modes and the transition while doing so made it seem even slower. The phone can also improve sunlight readability and also can be set to automatically reduce screen brightness when in battery saver mode. 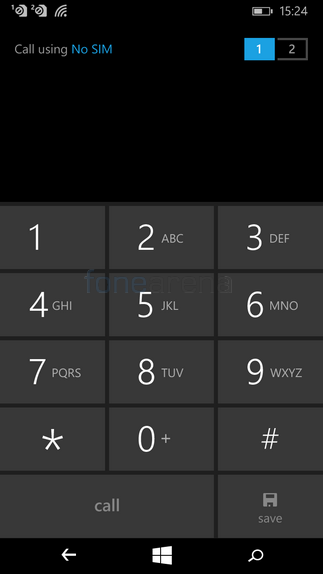 The dialer is large and easy to see and use. You can easily choose which of the two sims you want to use before making the call. The people app is the contacts app and shows you the names of your contacts along with thumbnails of photos you’ve assigned to each. 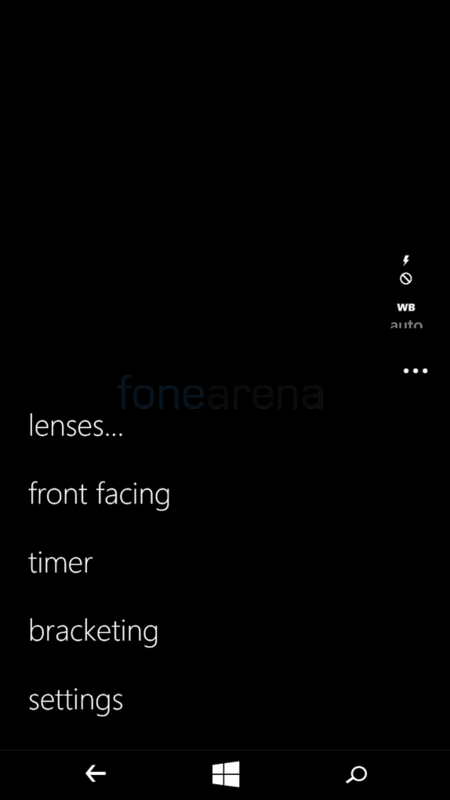 Since the dialer app and contacts app remains unchanged, we’ve included screens from the Lumia 640 itself. 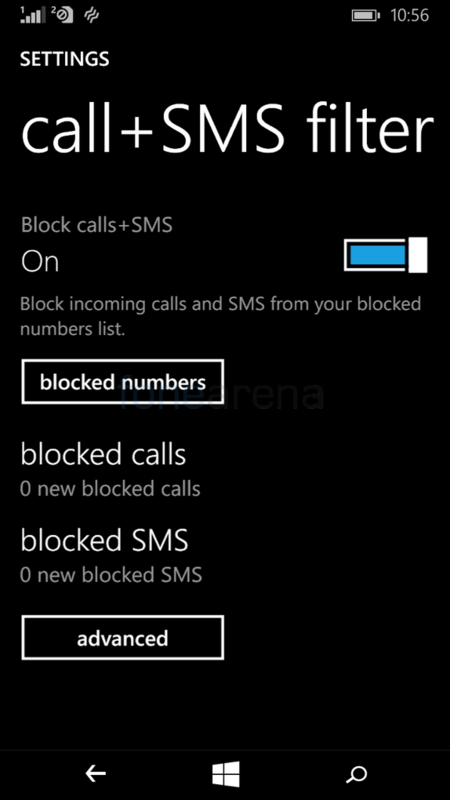 The built-in call filter allows you to block certain numbers of your choice and/or block numbers that have been withheld. 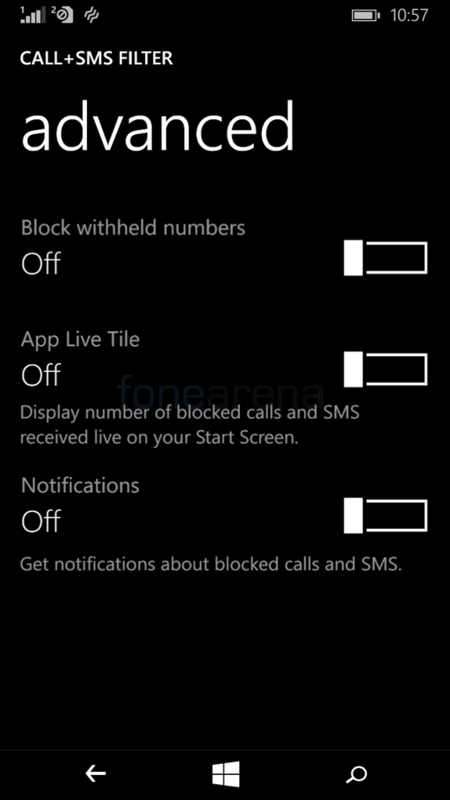 You can choose to have notifications of these blocked calls or messages and even have a live tile if you want. All the intercepted calls and messages will appear in the call filter for your reference. 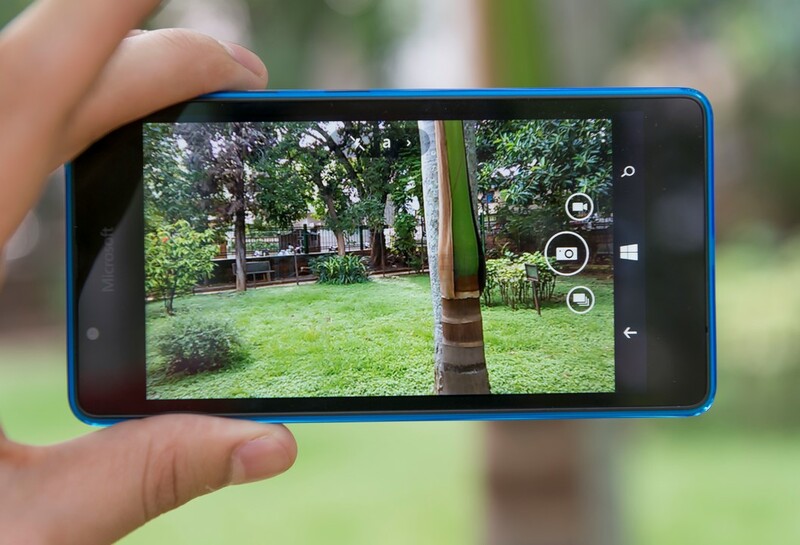 The Lumia 540 carries on the tradition of producing smartphones with very good call quality. The earpiece is loud and clear and the person on the other end of the line can easily be heard even in the noisiest of environments. Similarly the noise cancelling works well and your speech is also audible clearly to the other party. The loudspeaker also performs well as it’s loud and clear. The phones ringtone volumes are loud too but the vibration is a bit feebler than on the Lumia 640. The phone supports dual microSIM cards but only has support for 3G, no 4G LTE but that is no surprise especially considering that neither the 640 nor the 640 XL had support for it either. The built-in keyboard is quite comfortable to use and easy to get used to. Even with my large fingers, I didn’t make too many mistakes or typos once I got used to the layout. Swipe or trace inputs are also supported and works well especially when you can’t really use both your hands. The only downside is that we wish they would’ve included number shortcuts as well instead of having it in a second page to make use of the screen estate. The phone supports Wi-Fi 802.11 b/g/n. It has micro USB 2.0 and Bluetooth 4.0. 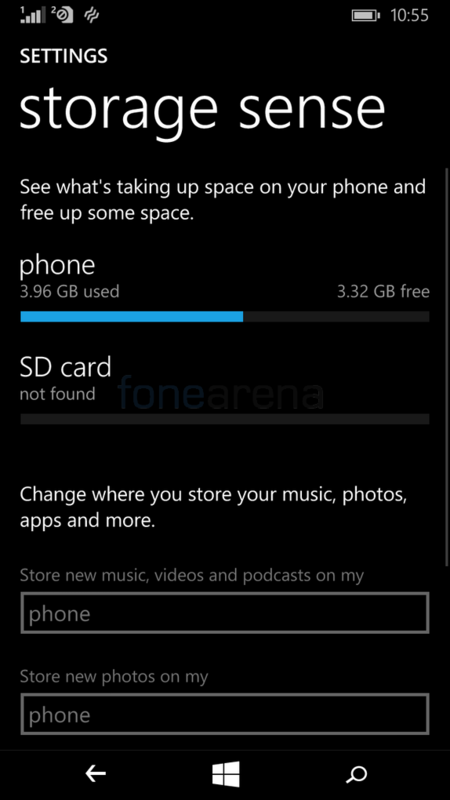 The phone packs 8GB of internal memory and despite packing 2 microSIM slots, you’ll be delighted to know that Microsoft have included a microSD card slot as well. Cards up to 128GB are supported however due to the device’s performance we are not quite sure how well it will handle cards of such large capacities. Out of 8GB of built-in memory, the user gets around 3.88GB of free space at his/her disposal. 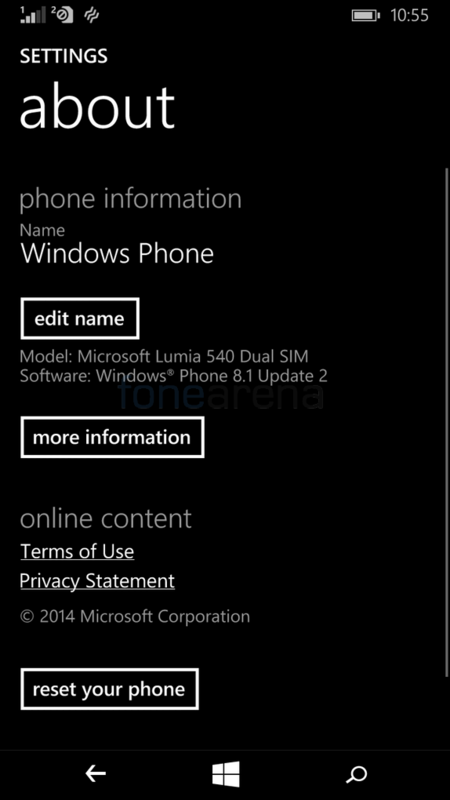 The Lumia 540 comes pre-loaded with Windows Phone 8.1 (Lumia Denim) out of the box. Microsoft has promised that the device will get an upgrade to Windows 10 as and when it releases. The phone is powered by a Snapdragon 200 processor and has 1GB of RAM. The phone performs without hanging and we never had the phone reboot or crash on us while testing. Despite being powered by an inferior processor, we hardly noticed any lag while navigating through the UI like what we noticed on the Lumia 640. That is quite surprising especially considering the 640 has a more powerful processor. Perhaps like we said earlier it is just something that needs tweaking on the software side and perhaps an update for the 640 will fix the issue in the future. Switching between apps did show a bit of lag on the 540 but nothing as apparent as what the 640 had. So the 540 does quite well here in our book. The lockscreen is quite nice and you can assign different apps to show their updates and notifications on the lockscreen. 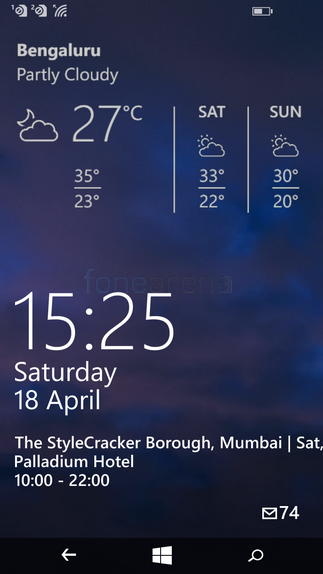 In our case we quite loved how the Weather app displayed on the lockscreen. It keeps changing its background based on the weather conditions in your location. 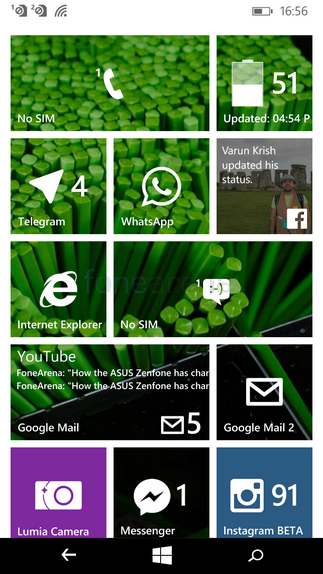 The homescreen is a colourful affair. You can choose to have tiles in a particular colour against a white or black backdrop. 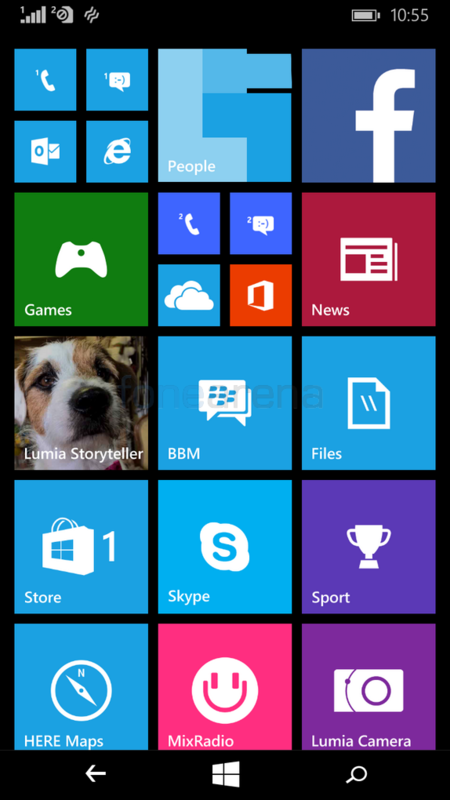 You can adjust the size of the tiles and also use live tiles for the apps that support them. You can assign a background image which will get overlayed on supporting tiles. The notification drawer is another welcome addition to Windows 8.1. 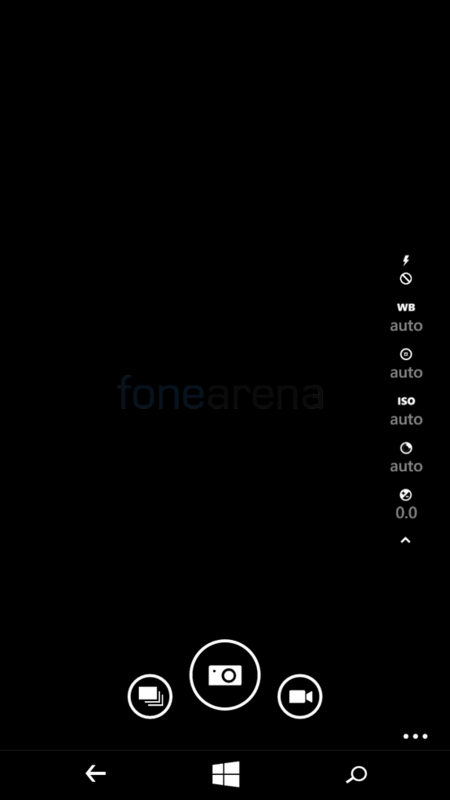 The quick toggles are customizable and you can have a maximum of 4 quick toggles at a time. There is also a shortcut to the settings from there. The glance screen is a neat feature that shows the notifications and time even when the device is on standby. You can choose from peek where the glance screen works for 30 seconds after locking your device and disappears after. 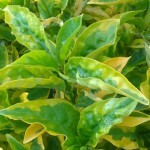 You can also choose for it to appear for a short duration at regular intervals or also to stay on all the time. You can also choose whether to hide the notifications and also different modes for the glance screen while the device is being charged. You can choose to turn off glance screen all together as well if you wish. In our experience the glance screen doesn’t really affect the battery life much and is a feature we found to be quite useful. We didn’t notice the device getting hot during our usage of the device, at worst maybe it got a bit warm. 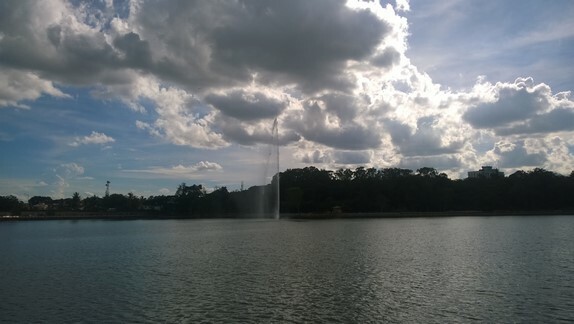 The camera on the Lumia 540 is identical to the one on the 640. Both the devices have an 8 Megapixel camera with LED flash. The camera like on the 640 is quite capable in well-lit situations. The detailing is quite good and so is the white balancing. The colours are quite neutral and has good dynamic range. The only downside is that there is a bit of purple fringing in the photos and some noise creeps in but not something you would realize much unless you zoom in and look carefully. The output should look good on most social channels that you want to share with but don’t expect to be taking great quality prints with it. However we noticed that the image quality is slightly inferior to the 640 as there is a bit more of noise in every situation. Noise is high especially in the low light shots and that is where the weakness of the camera lies. Apart from the noise, the shutter lag also makes it difficult to take a blur free photo. You can click on the samples below to view the full resolution images. The camera can only record videos at 30 fps at a maximum resolution of 480p due to the limitations on the processors part. So don’t expect to be using your camera to record much video unless it is for the occasional Dubsmash or Instagram types. Surprisingly the front facing camera receives a big upgrade over the Lumia 640 as the 540 has a 5 Megapixel unit compared to the 0.9 Megapixel unit on the 640. 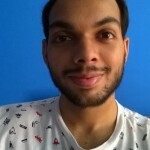 The detailing is much better and along with the Lumia Selfie app, you can easily apply a bunch of filters and tweak the images easily to upload to your social networks. The front camera can even match the rear camera in terms of video recording capabilities as it too can record 480p videos at 30 fps. 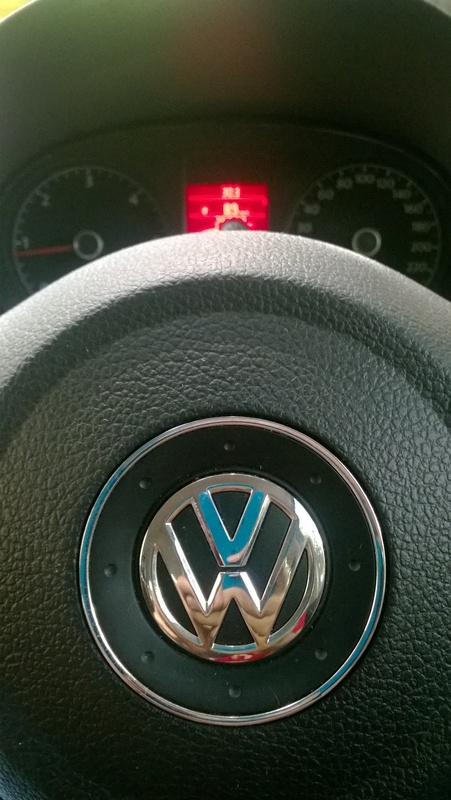 It also doesn’t have much of the colour fringing and noise issues that was present on the Lumia 640 front camera. 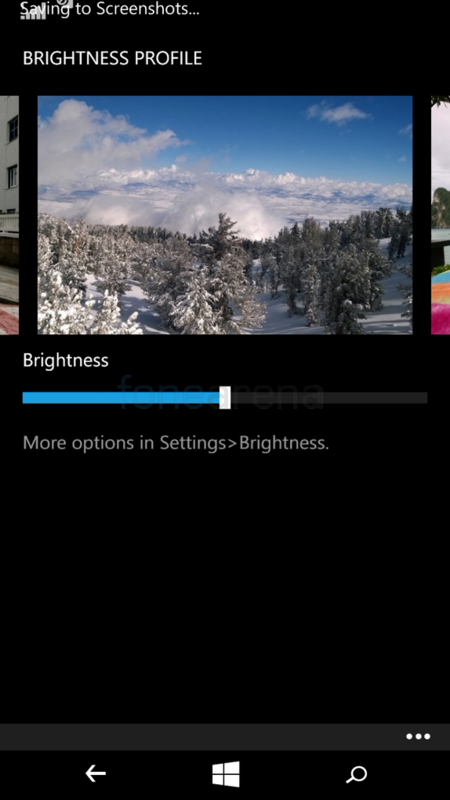 The Lumia camera app is the same as the one on the Lumia 640. You get quite a lot of detailed controls such as ISO, exposure, white balance etc. It allows you to tweak and get the best out of the camera. You can choose between 16:9 or 4:3 ratios. You can even capture moving images (cinemagraphs). You can choose from a wide range of framing grids to help assist you in composing the photo including rule of thirds, golden ratio or square to help you with your Instagram purpose photos. You even have options for bracketing the photos if you wish to create manual HDR photos. 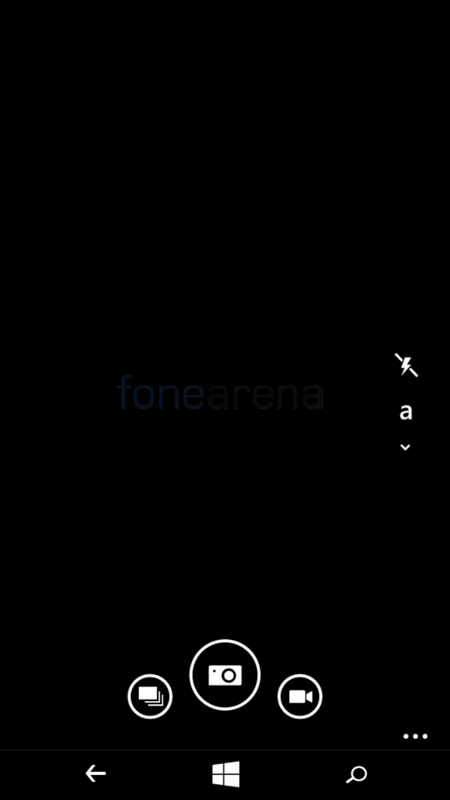 Holding down the shutter button triggers the burst mode or the video mode based on the option you choose. 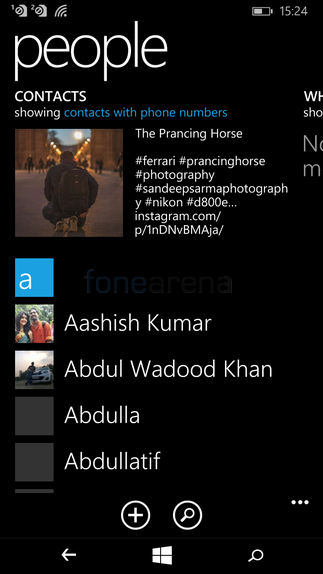 The Lumia Selfie app and the refocus app are neat additions to the Lumia camera. You can also download other lenses from the app store to get different types of effects for your photos. The Lumia 540 has pretty good quality like the 640 however its strengths lie in different area. The Lumia 640 had a loud-speaker which got muffled the moment you placed it on a flat surface. The 540 has a reasonably loud-speaker but doesn’t get muffled when placed on a flat surface despite being at the back of the device. But instead manages to channel the sound and amplify it a bit. 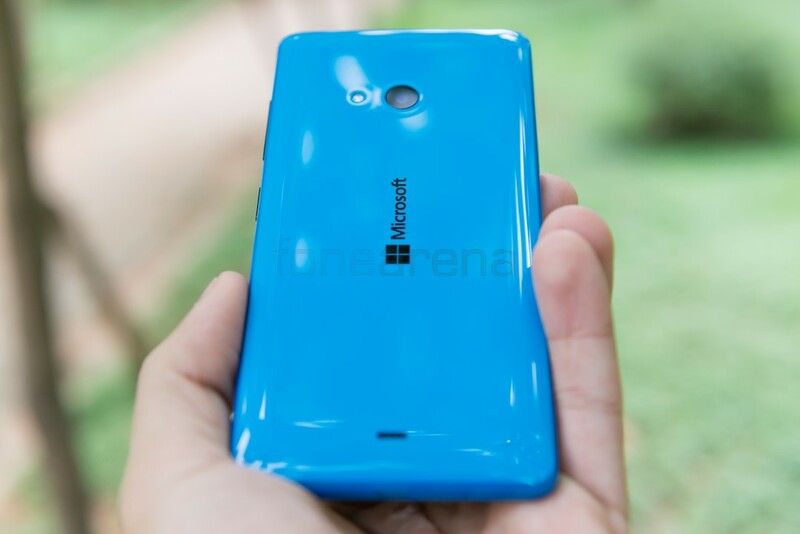 This could be due to the more curved back design of the Lumia 540 compared to the 640. Also the 640 speaker was placed towards the right side while the 540 speaker is centrally aligned at the center towards the bottom. There isn’t much distortion even at higher volume levels. The audio quality through headphones/earphones is quite good too but the details are often overpowered by the bass which seems too artificial at times. There is a bit of cross-talk and noise but only at the highest levels. As it has a 3.5mm audio jack, you can use just about any earphone/headphone that’s available in the market. The bundled earphone isn’t very good and you’re better off getting 3rd party earphones/headphones that can make better use of the phones audio capabilities. The music player supports MP3s, AAC, WMA and WAV files. You can sort your tracks according to artists, albums, songs, genres and playlists. 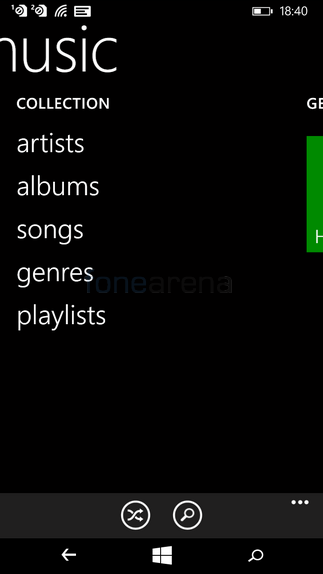 If you have an XBox Music account, you can link the music player to that. There aren’t any fancy settings or equalizer here. 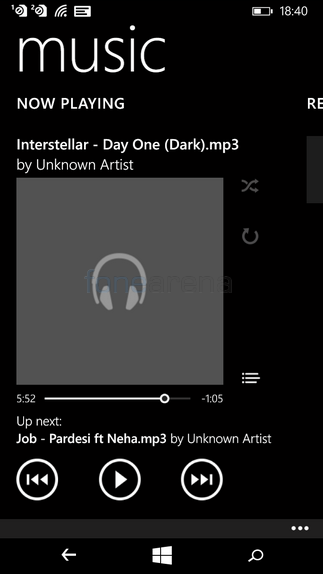 You get the Rewind/Previous, Play/Pause and Forward/Next buttons along with Album art and the song timeline through which you can seek the tracks. It also supports shuffle and repeat. 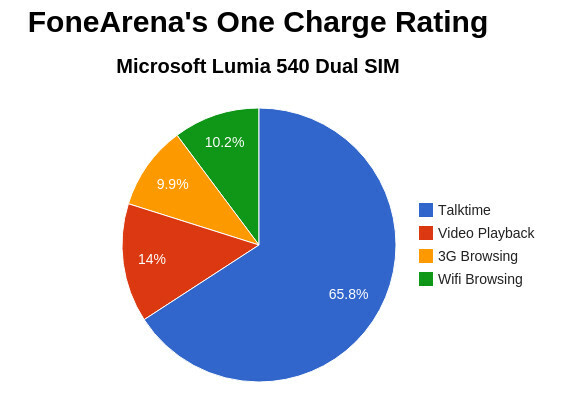 The Lumia 540 Dual SIM achieved a One Charge rating of 12 hrs 59 mins. 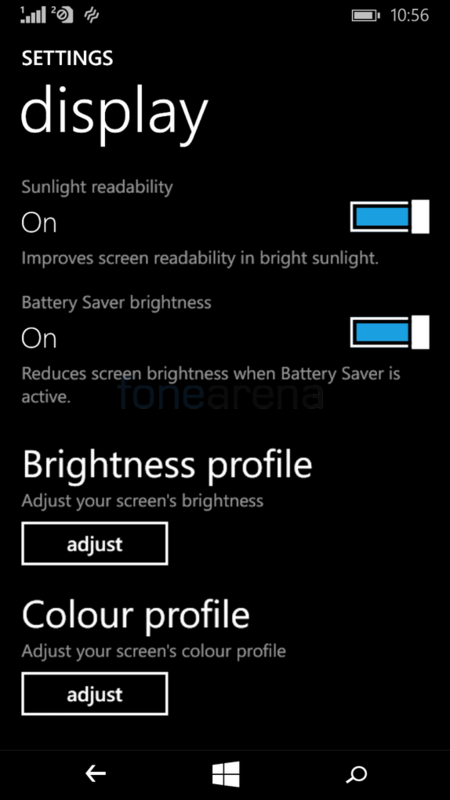 The battery life on the Lumia 540 isn’t as good as the one on the Lumia 640. It will last a day for an average user but a power user will have trouble getting through the day. 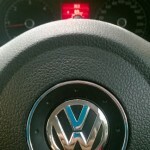 We will be conducting our battery tests and give you the one charge rating soon. When it is complete, we will update this section of the review so do check back in a few days for it. The Lumia 540 Dual SIM is a good phone overall. It has a few shortcomings especially with video recording limited to 480p resolution. But it has more of positives than negatives and that is a good thing. 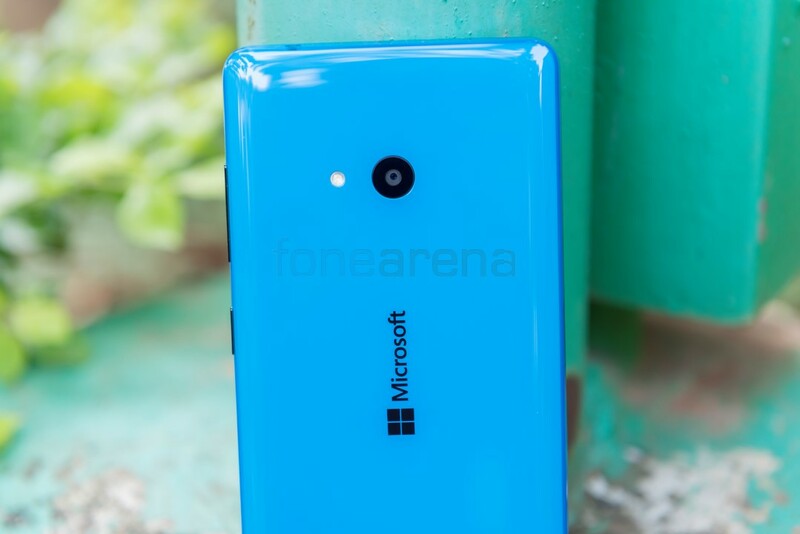 But we aren’t sure if we will pick it over the Lumia 640 especially considering that the price difference between the two is almost negligible after the price cuts. 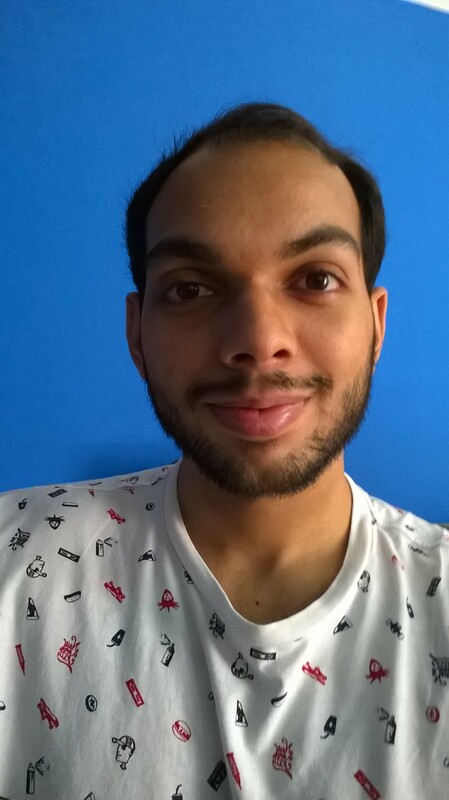 The dual-gloss design of the Lumia 540 however does make it stand out more amongst the crowd and the much improved selfie camera is a bonus too. So if those are two things that you want in your phone then perhaps the Lumia 540 should be your choice over the Lumia 640. However if you are fine with Android devices as well then perhaps you should research more as there are devices out there that offer more bang for the buck. If you are looking for a Windows smartphone though then the fight is between the 540 and the 640 and what you get should be based on what you need as both the smartphones offer very similar experiences yet are clearly different. 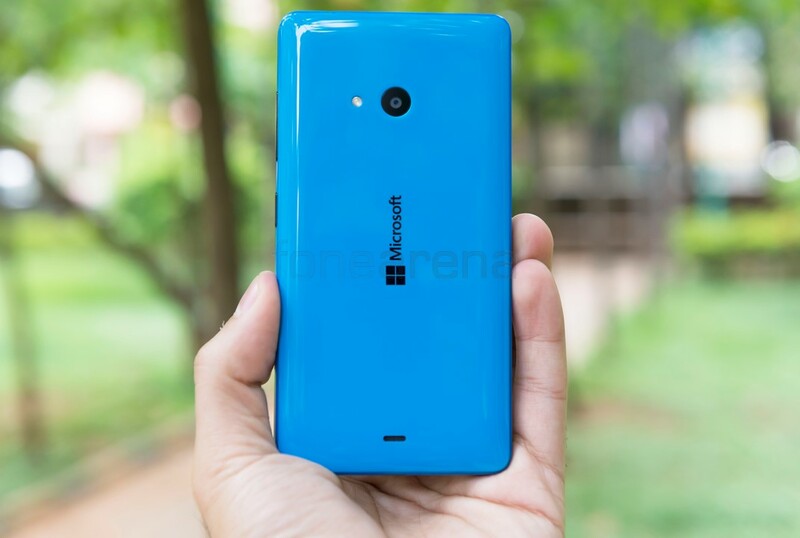 The Lumia 540 Dual SIM was launched at a price of Rs 10,199 however you can find it for around Rs 9,100 on some sites.